Deal Physical damage to target enemy and Dispel all buffs on them. 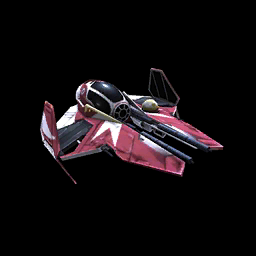 This ability's cooldown is reset and Ahsoka's Starfighter gains 50% Turn Meter whenever an enemy Reinforces. Enter Battle: Dispel all buffs on target enemy and gain 20% Max Health for each buff dispelled. Dispel all debuffs on Ahsoka's Starfighter and gain Protection Up (50%) for 2 turns. If any debuffs were dispelled this way, Ahsoka's Starfighter and all other debuffed allies gain Retribution for 2 turns.